Mireille Brosseau is an attorney practicing litigation at CMKZ. 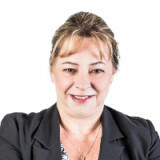 Since being called to the Quebec Bar in 1981, Mireille Brosseau has acquired a vast experience in civil and commercial litigation, particularly in professional liability, commercial, real estate, insurance, banking and estates. Mireille Brosseau is recognized in her field as a highly respected litigator and has built a strong reputation defending the interests of her clients before civil courts and administrative tribunals in the province of Quebec, including the Court of Appeal, the Superior Court, the Quebec Court and the Professions Tribunal. Mireille Brosseau is an accredited mediator. In December 2012, she joined CMKZ’s team to head the litigation department.